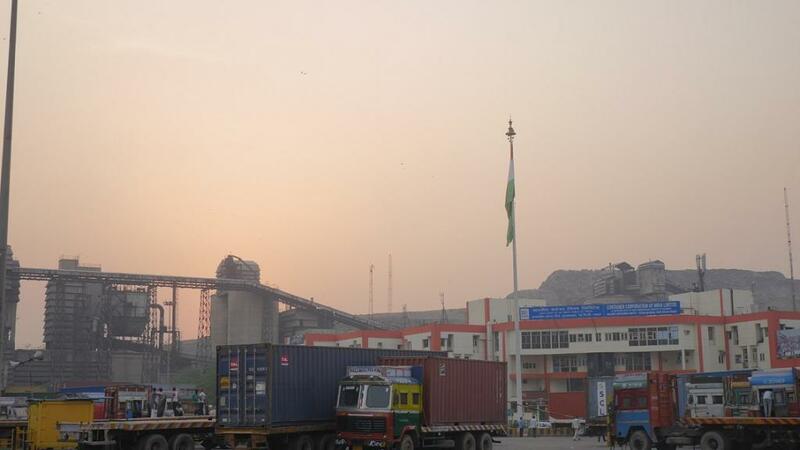 The National Green Tribunal (NGT) has ordered a joint inspection of the Tughlakabad Inland Container Depot, in the case of a chemical leak incident that took place on May 6. The Tribunal also ordered inspection of Crystal Crop Protection Pvt Ltd, a Sonepat-based company, which was the consignee of the chemical shipment. Earlier this month, 2-chloromethyl-5(chloromethyl) pyridine, a chemical used to manufacture insecticides, leaked from a container parked at the depot. Some 475 people, mostly students from the nearby Rani Jhansi Sarvodaya Kanya Vidyalay, were hospitalised after they inhaled the hazardous chemical. According to NGT’s order, inspection of the depot will be carried out by a committee having representatives from Haryana Pollution Control Board, Central Pollution Control Board and Ministry of Environment, Forests and Climate Change. The committee will have to file its report within a week, by May 22. The green court also asked the head of toxicology and pharmacology department at All India Institution of Medical Sciences (AIIMS), Y K Gupta, to file a report assessing the impact of the chemical leak. Advocate I G Kapila, amicus curiae in the case, informed that India's import of hazardous chemicals increased four times between 2004 and 2008. Updated data on this, is not available, he added. NGT was hearing the case after taking suo motu cognizance of the issue. The next hearing is scheduled on May 29.